I'm never one to argue whether or not films should or shouldn't exist. If you have a vision, I say go for it: if it's great, wonderful; if it's bad, hey ho at least you tried. In 2003, director Tommy Wiseau released his film The Room, a kind of rushed passion project that went through a disastrous production process and has since been widely labelled one of the worst films ever made. The film (somehow) picked up a cult following and eventually turned a profit, still being screened in select cinemas around the world to this day. The Disaster Artist, directed by and starring James Franco, is the film adaptation of the book that tells this story. Returning hastily to the very opening of this review, I'm not going to argue that The Room shouldn't exist (Wiseau and his friend Greg Sestero had a passion for something and they followed it, who am I to slate them for that) but rather that The Disaster Artist comes across as not only the most pointless movie of the year, but one of the most bizarrely niche films to receive a mainstream release in recent memory. The film is well intentioned for sure, but a well meaning heart can't really make up for how misguided everything else on screen here is. For one, The Disaster Artist isn't particularly interested in either storytelling or character specificity. The film may follow a conventional beginning-middle-end narrative structure, but its framework within these acts is oddly shapeless - there's no real sense of progression, we just sort of drift around with these people for a while and then suddenly we're at a film premiere. The spare time is rarely used for fleshing out characters either, Franco is more interested in directing a retelling of an event than he is an actual story embodied by real people. No one here has any personality bar Wiseau (played by Franco), and he's frequently more irritating than he is interesting. It doesn't help that Franco's lead performance here isn't really a performance in and of itself. He doesn't bring anything to the character that couldn't be achieved by a semi-trained impressionist, seemingly rolling through all of Wiseau's trademark quirks like a checklist without ever actually adding to the character himself. 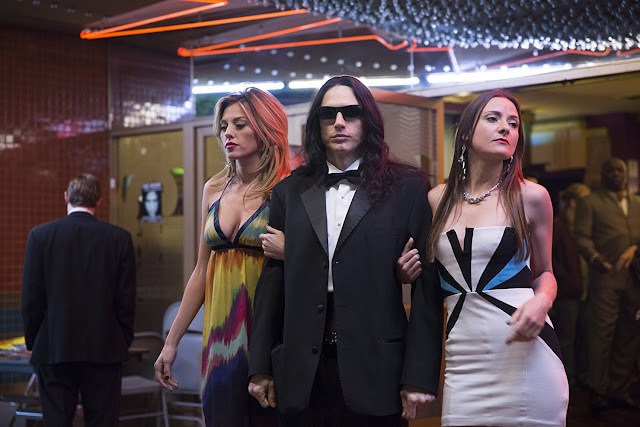 I appreciate that the endlessly enigmatic Wiseau is a tough character to portray - and it must be said that, on the most basic level at least, Franco does nail Wiseau's voice and mannerisms - but for The Disaster Artist to work we need Franco to hint at something deeper in his performance. 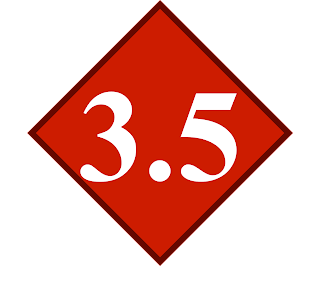 A lot rests on his shoulders, but he only really goes for the bare minimum. The film's script (penned by Michael Weber and Scott Neustadter) seems to also be trying its hand at some form of humour, but the results are astonishingly scattershot. There's only so many times we can laugh at James Franco in a black wig saying words in a strange way, and simply watching The Disaster Artist's versions of The Room's most iconic moments feels horribly redundant: why pay to watch famous actors do them again when the original already exists? The film does source a couple of decent one liners occasionally (mostly courtesy of Dave Franco, one of the film's few saving graces), and its usage of title cards giving us shoot information is particularly inspired. Which leads me to the idea: would The Disaster Artist have worked better with a more unique approach, say a mockumentary style? Franco seems so hell bent on creating a film that does nothing more than retell The Room's production process that he forgets to make something actually interesting, perhaps a mockumentary approach would have allowed him to play around with the story a bit and take a few more liberties. As well as giving us a deeper insight into his characters (direct interviews are a great way to dive further into a person's mind) it would also help to give the film a larger sense of purpose, something The Disaster Artist seriously lacks in its current form. If you're a fan of The Room and can get behind its bizarre so-bad-it's-good quality, then Franco's film is probably a very enjoyable one, but for anyone not well versed in The Room's "Oh hai Mark"s and its "You're tearing me apart, Lisa! "s there's very little left here to enjoy. Franco simply doesn't bring enough directorial flair to the film, and his performance is lacking in everything beyond basic impressionism. I can't say The Disaster Artist ever bored me across its 100-minute runtime, but I'm not sure that was for the right reasons. I think I spent the time in a permanent state of confusion and bewilderment, unsure as to whether what I was watching was actually real and, if so, why I needed to be watching it. Fleetingly funny but lacking the creative energy to be any more than a by-the-numbers biopic, James Franco's The Disaster Artist is about as mindbogglingly niche as its protagonist is bizarre.